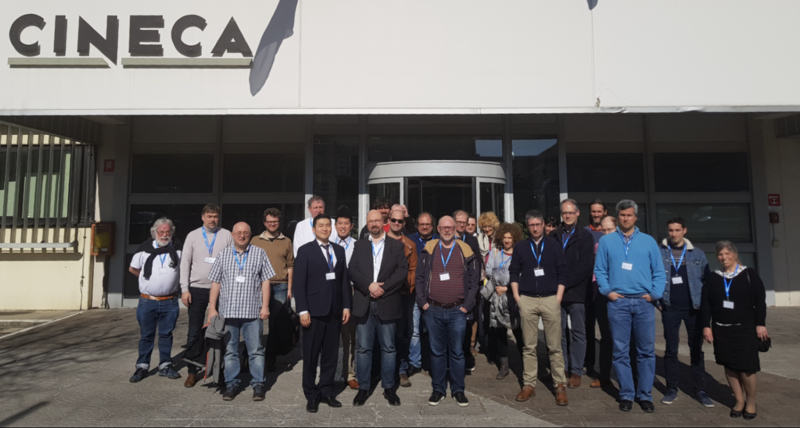 WPCD is a group of developers within the EUROfusion consortium with the goal of developing a flexible suit of fusion codes to validate the physics models on current experimental fusion devices and to predict ITER and DEMO scenarios. The objective of the Annual Planning Meeting was to set a clear roadmap for the different groups forming the community. The main goals of the project for the following years its clear: first to develop code workflows allowing the simulation, analysis and integrating modelling of the different fusion experiments (as JET, ASDEX Upgrade, WEST, etc.) and to produce the first releases to be tested by the users; second, to fully integrate the existing codes to the ITER Integrated modelling and Analysis suite (IMAS) infrastructure. 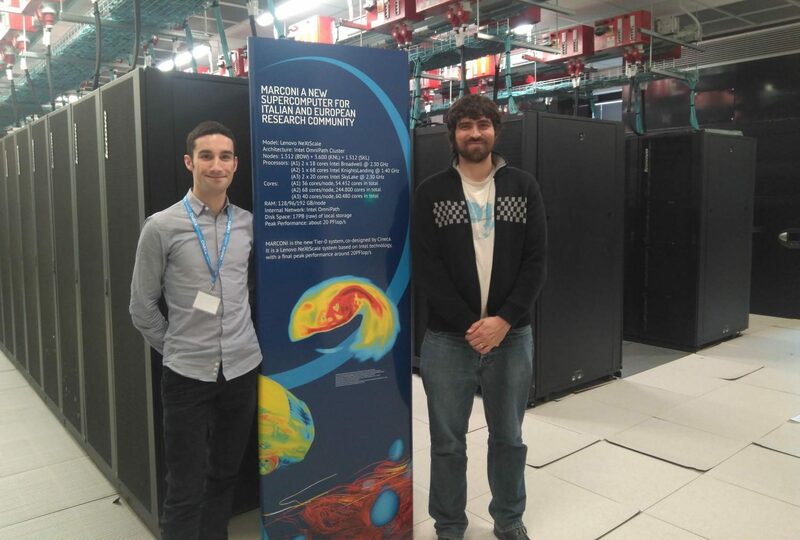 Our group members, Ignacio and Albert (from left to right), at Marconi supercomputer in CINECA. The IMAS infrastructure is the new software environment for running the simulation codes and workflows that eases the manipulation of physical data. The IMAS has been developed with the aim of being the main environment to run in the ITER experiment. Hence, a migration from the previous frameworks to the new one is needed. Indeed, this is one of the task of our group: the integration of the heating code PION into the IMAS and the creation of a workflow, which covers our task in the Heating and Current Drive (HCD) section of the project. Additionally, one of our group members is working in the development of High Performance Computing capability for fusion workflows and its integration into the ITER modelling framework. The Annual Planning Meeting served to coordinate the work between the different contributors and to establish a clear guideline for 2019 and 2020.